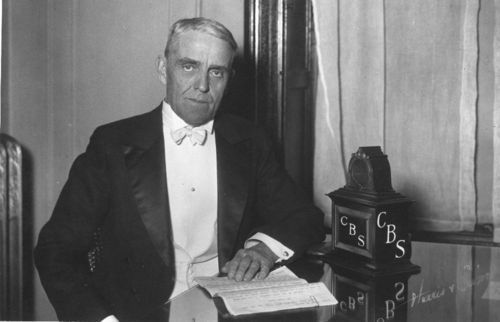 In 1922 Arthur Capper obtained a license to start one of the nation’s first radio stations. The station, WJAP, began broadcasting from the top floor of the Capper Publications building at 8th Avenue and Jackson Street, where he also published the Topeka Daily Capital. 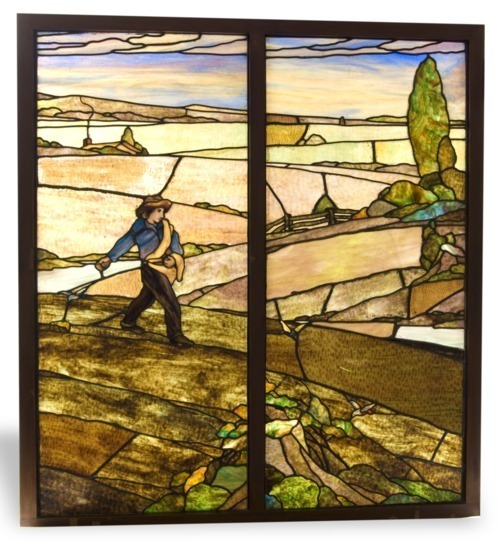 He soon moved to his studio a few buildings to the east to the third floor of the Palace Clothing Company. Capper struggled to find parts and receiver sets for his new station and he was forced to leave the air. Capper waited a few years to reenter broadcasting. He chose a portable field station in Logansport, Indiana, Capper purchased the call letters WIBW, original acquired by C.L. Carrell of Chicago. The Federal Radio Commission at the time approved the move of some portable stations to underserved areas. Now the Federal Communications Commission (FCC), the agency assigns stations beginning with the letter W east of the Mississippi River, and K west of the Mississippi. The station signed on the air in Topeka, Kansas, May 8, 1927, and converted to stationary operation on January 14, 1928, broadcasting from Jayhawk Theater in downtown Topeka. Owned officially by the Topeka Broadcasting Association, the station was approved to broadcast at 1300 kilohertz on the AM dial at 100 watts; it soon increased to 250 watts. Capper later operated out of his former home on Topeka Boulevard. WIBW is the furthest west station with call letters beginning with W.
On November 30, 1929, WIBW entered into a time-share agreement with KKSU of Manhattan. This agreement allowed the station to move from 1300, which it shared with KFH in Wichita, to the prime position of 580 kilohertz. WIBW-AM established a reputation for innovative live programs. Regular performers included the Shepherd of the Hills and the Kaw Valley Boys; the Bohemian Band; the Pride of the Prairie Trio; the Harmony Hix; Ezra Hawkins; the lonesome cowboy, Roy Faulkner; and the Radioaires. The WIBW Round-Up, published on a monthly basis in the 1940s and 1950s, provided information about the featured performers. Some of those featured were Miss Elsa, organist for the Pleasant Valley Gang, a trio that performed until the 1985. 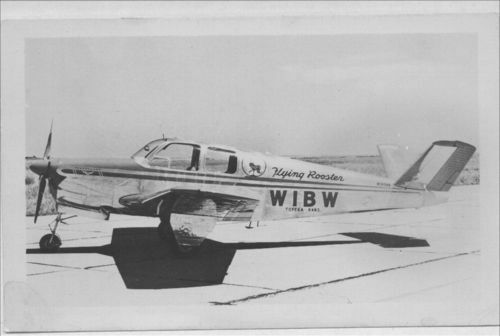 The Flying Rooster was a small airplane that flew reporters and sports announcers to broadcast events across the state. On April 20, 1949, the plane crashed enroute to an event in western Kansas killing three WIBW staff members. Hilton Hodges hosted a popular morning show called “Let’s Talk” from the 1950s to 1970s. On December 19, 1956, the FCC approved the sale of the station to Stauffer Publishing Company of Topeka. In 1961 KKSU reduced its previous airtime schedule to 12:30 to 5:30 p.m. This type of share agreement became quite rare in the late 20th century leaving the two stations among the few with such an arrangement. WIBW-AM signed off its transmitter at the appropriate time and KKSU signed on until the time when WIBW-AM would return to the air. The share situation was resolved in 2002 and KKSU permanently left the air. WIBW-AM was among the properties sold by the Stauffer family to Morris Communications on July 7, 1994. Morris sold the television properties, and became the licensee of WIBW-AM, its sister station, WIBW-FM, and KGNC-AM/FM in Amarillo, Texas, in 1997. The station is still owned and operated by Morris Communications.